Just want to keep diving? The PADI Divemaster course is a fun and challenging opportunity for those who wish to become dive professionals. The Philippines and El Nido are a great place to go for it! The PADI Divemaster course is not only about learning excellent dive skills and deepening your knowledge on dive theory. You will have daily training by being part of our day-to-day operations. The course requirements are extensive, and your instructors will go through these with you before you start. At the start of the course you independently study your Divemaster manual and complete the Knowledge Review exercises for each chapter of the book. The exercises will be checked and revised with your instructor who will also help you with any questions you may have. To complete the theory study you will take part in the Divemaster final exam and prepare an Emergency Assistance Plan for a dive site. In this section of the course you need to show mastery of different underwater and surface skills. There are several swim tests. You will need to perform a diver rescue, you will learn to demonstrate and later be evaluated on individual dive skills such as mask removal, hovering and many more. This part of the course consists of workshops, dive scenarios and assisting your instructor with their students. In the workshops you prepare for your future by getting familiar with the courses a certified Divemaster can independently conduct. The dive scenarios will have you practice responsibility and management of different diving situations both on land and in water. Finally you will get a look behind the scenes when you assist your instructor with real student diver. It will be your turn to help them get comfortable with their heavy dive equipment and give them tips for relaxing underwater just like when you started diving yourself. You can pay by cash or Paypal and credit card (at no extra charge). All our prices are fixed. Our package includes: DM Crew pack plus certification card, your instructor fees, boat transportation, warm lunch on board plus coffee, water, drinks and cookies. Our package does not include the Eco Tourism Development fee and has to be paid in cash. This ticket costs Php500 and is valid for 6 months. Note: All our packages has to be paid in Filipino Pesos. It is best that you contact us to book your Divemaster course before coming in El Nido. Space is limited. Call +639 399 581 076, +639 917 774 210 or use our form. *Those certifications are not included in our package. If you have been certified with an agency other than PADI don’t worry, we can transfer your current certification level to a comparable PADI diving level with no additional time or charges. • Once the internship is started the total amount is non-refundable. 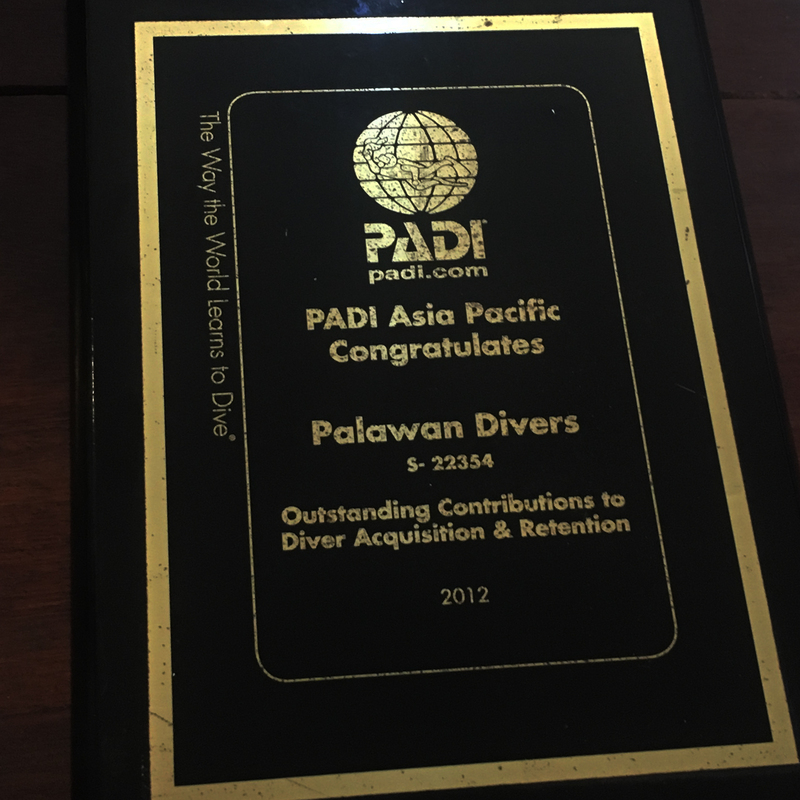 • PADI Divemaster course: Why Palawan Divers? 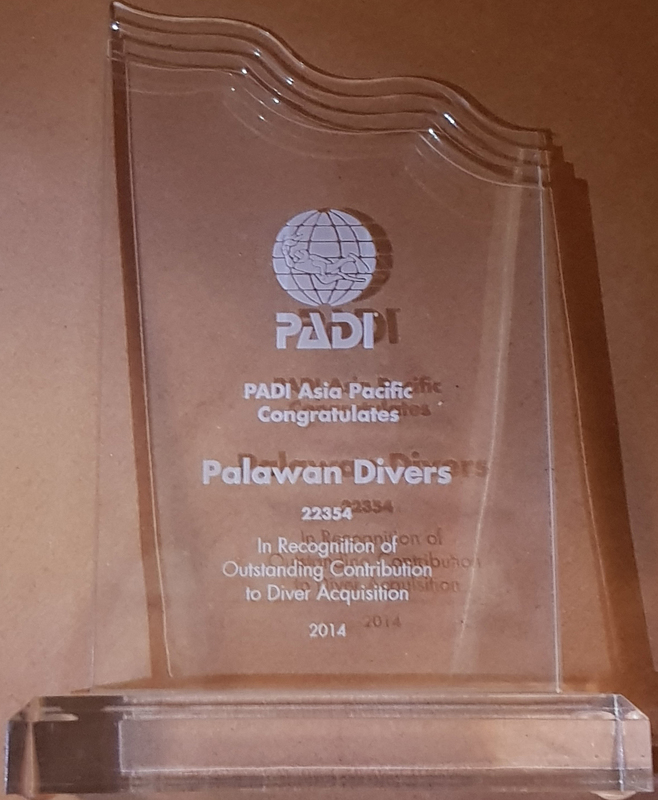 Palawan Divers is the most and longest established dive center in El Nido and starts being renown all over the Philippines for its quality service and professionalism. We can accommodate 16 divers with 2 big bancas. One for the students, one for the certified divers. We usually plan 3 dives per day. Two in the morning, and one after lunch. We leave at 7:30am and are back around 3:30 pm. For a better quality service and for making diving safe and cozy, we accept only 8 divers on board and a maximum of 4 divers for one guide. They are divided to groups based on their experience and level. We propose sunrise dives and night dives as well. Our dive shop is very spacious and looks pretty stylish. The installations are functional and very user-friendly. Our gear is well-maintained and we have 3 dive boats. 2 traditional boats Irawadi I & Irawadi II and a brand new 30 feeter speedboat Irawadi IV. Our daily dive trips include lunch, drinks and cookies. • PADI Divemaster course: Why the Philippines and El Nido? Bacuit Bay area offers an excellent underwater learning environment. The reefs are plenty and the marine life impressive. With more than 45 islands, Bacuit Bay is a beautiful scenery with a lot of amazing landscapes at the surface and underwater. The diving conditions are most of the time easy (low current, low wind and low waves). The bay houses a lot of coral fish such as angel and butterfly fish, batfish, pipefish, seahorses, clownfish and bannerfish. We usually also see bigger fish such as barracudas, trevallies and groupers. And with a lot of luck you might also dive with a whale shark. There are many critteres and nudibranchs around as well. The biggest animals we see daily under the water are blue-spotted stingrays and turtles. We are very lucky since there are three species of endangered marine turtles who come to our region to lay eggs. Most of the marine life stays in the shallow. No need to go deep to see nice things. Our night dives and sunrise dives are wonderful. • PADI Divemaster course: Why our team? We have a fantastic and skillful team who loves working together and you can learn something from each person in the staff. We are committed to teaching divers how to protect and preserve the underwater world. We really look forward to welcome you as a part of our family. You’ll get the chance to become part of our daily operations – a great opportunity for practical experience. To rent a fan-room with bathroom it costs around Php12,000 per month depending on the season. If you are looking for a proper house with cooking facilities and aircon the price can go up from Php15,000 to Php25,000. The best is to book accommodation for a few nights in advance. Once arrived you can have a good look around for a more permanent solution. We can of course help you with this. There are 4 ATM’s in El Nido and one bank. There’s also a money changer in town. As a tourist you automatically get a visa on arrival, valid for 31 days. Afterwards, you can extend your visa either in Manila or in Puerto Princessa for 1 or 2 additional months. It costs about Php3,000 for a month and Php4,000 for 2 months. The visa run to Puerto Princessa can be done in 1 day if necessary.